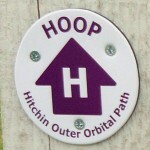 The Hitchin Outer Orbital Path was created in the summer of 2010 as a way of linking up a whole series of paths and public right of ways (and a few urban roads) to make one 12-mile route around the town. It’s a walk of great contrasts, including as it does historic townscapes, cosy suburbia, shady woodlands, sun-bleached field edges, and two wetland nature reserves. For the WalkWalkWalk.co.uk team, it was an adventure that stitched together many familiar stretches of path into one coherent whole. Areas that we have explored together in recent years were mixed with some of Andy’s childhood play locations – and even his old school cross country running course. A leaflet, part funded by North Herts Ramblers Association, the county council’s Countryside Management Service and North Herts District Council, gives the full route – although in some of the more confusing areas it’s easier to follow on the ground than on the map. Like its sister path for Stevenage (the 27-mile STOOP) and the very similar 13.6-mile Letchworth Greenway, the HOOP can be begun from a number of different points on its circuit and can also be split up into stages. 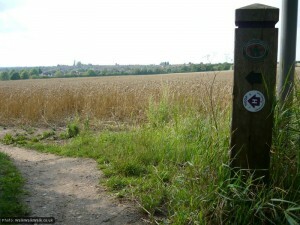 For lovers of challenges, the three routes do intersect – the HOOP and the Greenway share a partly urban, partly field-edge section between Willbury Hills and the Cambridge Road, while the STOOP touches the Hitchin path near Wymondley Road. 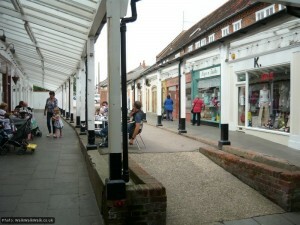 We have begun and finished this description in Hitchin Market Place, which the path dips into town to visit, as it’s the simplest option for a visitor. As locals, though, we begun the walk at the point nearest our house – and were very glad to have just a quick climb up to the teapot and comfy chairs once we were done! 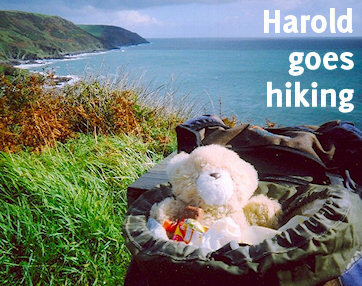 We took eight hours to do the whole walk, but that included regular halts for blackberrying and photography, plus two longer stops – one in the Market Place for a cup of tea, and one at Ickleford to watch several overs of a cricket match in progress. Likely you’ll be able to do the walk much quicker. There aren’t many hazards on the walk. Much of it is by streams or rivers, but they are always shallow and often play areas for local children. There are several fierce roads to cross (and some more benign ones to walk beside) and some of the field-edge parts lack shelter on very sunny days, so wear a hat. You can find some travel information at the start of section one. This guide is split into four sections and nine photo galleries, but we have not used the official ramblers/council sections, as they are a bit uneven in length.